If you exercise your statutory right to cancel you must immediately return to us, in the normal way, the item that you do not wish to keep. Use of our website and the sale and purchase of goods from the website are governed by our terms and conditions as set out below. ‘We’ or ‘Our’ means Rido Sport Limited (hereafter referred to as ‘Rido’). ‘You’ or ‘Your’ means the person accessing, using or ordering from our website over the Internet. You must be over 18 years of age to place an order through this website. In placing an order you are making an offer to purchase subject to these terms and conditions. Once we have dispatched an order we will deem this a binding contract. Each order will be a separate contract. If we fail to enforce one or more of these terms and conditions, we do not waive our right to enforce any of those remaining. Your access to and use of rido-cycling.com (“the Website”), is subject exclusively to these Terms and Conditions. You will not use the Website for any purpose that is unlawful or prohibited by these Terms and Conditions. By using the Website you are fully accepting the terms, conditions and disclaimers contained in this notice. If you do not accept these Terms and Conditions you must immediately stop using the Website. The Website may include links to third party websites that are controlled and maintained by others. Any link to other websites is not an endorsement of such websites and you acknowledge and agree that Rido is not responsible for the content or availability of any such sites. Rido’s inclusion of hyperlinks to such web sites does not imply any endorsement of the material on such Web sites or any association with their operators. Where a service is provided, for example medical, law, financial or any other profession, Rido strongly recommend that you seek advice from a qualified professional or body before you use their services or act upon information given. You should inspect the goods when they arrive to ensure they are correct in type and quantity, and have arrived in good condition. 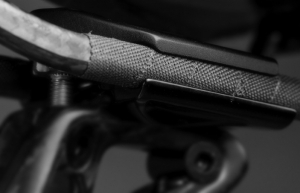 You may contact us at info@rido-cyclesaddles.com to inform us of any goods that are faulty, damaged or not required. What if the goods are not required? You may cancel your order within 7 working days after the day you receive the goods, without giving a reason. You must inform us of your wishes by email within this period. If we agree for you to return the goods, they must be returned to us at your cost within a further 7 days. The goods should be returned in a pristine, re-saleable condition – (includes unmarked rails: when taking their first rides, customers are advised to protect the rails against scratching from the seat-post clamp) – with all their original packaging and contents in tact (box should be wrapped when returning and not taped up, marked or labelled in any way). Please note that an anything less than absolute pristine, ‘as new’ condition LtX saddles cannot be accepted unless a return is being made under the warranty governing structural failure under reasonable use). Subject to fulfilment of these conditions a full refund of the good’s purchase price, excluding delivery and less £4.80 handling (£4.00 plus UK VAT / covers administration and loss of Merchant Services charges and is the equivalent to our RLt-model try-before-you-buy scheme fee), will be given. What if the goods have been damaged in transit? You must inform us within 7 working days of receipt if you wish to claim a refund or replacement. If you choose to be refunded and a delivery charge was made for your order, this will also be refunded. If goods returned are not found to be damaged, the terms for ‘Goods are not required’ (as outlined above) will apply. What if the goods are faulty or not of merchantable quality? Every care is taken when the goods are dispatched. However, if the goods are faulty you must inform us within 7 working days of receiving the goods if you wish to claim a refund or replacement. The Procedure for making a claim under guarantee outside this period is detailed below. After the cancellation period of 7 working days, unwanted goods will be accepted back at Rido’s discretion and will be subject to a Restocking Charge – 15% of the value of goods returned – and will be returned to Rido at your cost. If you do not receive the type or quantity of goods ordered due to an error or omission on our part, we will arrange for the correct order to be delivered to you, usually within 3 business days (in the case of the UK – see delivery times for other location groups under ‘6. Deliveries’ section), as stocks permit. You must notify us within 7 working days of receipt if an order is incorrect or incomplete. You must also ensure that any goods supplied in error or in excess of your order are returned in as-new re-saleable condition in their original unmarked packaging. We reserve the right to charge you for any goods delivered in error, where you have not followed these conditions. Goods are sold subject to availability. If we do not supply the goods for any reason we will not charge you for these goods and we will refund any money already paid for the goods. However, we will not be responsible for compensating you for any other losses, which you may suffer if we do not supply goods. If goods are not in stock we will inform you that they have been placed on back order, and either agree a new delivery date or at your discretion remove the items(s) from your order. In addition, you will have the right to cancel any back order that has not yet been supplied, up until 5pm on the day prior to expected delivery. We will refund any payment that has already been made for those goods and any delivery charges applicable, on the day of cancellation. There will usually be no additional charge for delivery of back-orders. For items paid for on-line via PayPal we will generally deliver orders within 3-5 working days from the date the order was received, within the UK and Northern Ireland. If you are located in the Scottish Highlands and Islands or the Scilly Isles, please allow an extra 2-3 days for delivery. For deliveries to Europe please allow an additional 5 days and to outside Europe, 10 business days. Where normal delivery is likely to be delayed by more than three days we will e-mail or call you to arrange a convenient delivery date. You should ensure someone is available to sign for your order. Delivery (P&P) is additional to each item’s unit price as each item is dispatched individually, irrespective of the quantity ordered. You will become the owner of goods only once we have received payment in full for the goods (incl. delivery). We reserve the right of tracing, where goods have not been paid for in full. You will become responsible for the goods as soon as we have delivered them to you. If you delay the delivery of goods to you, our responsibility for them ends at the time of the first attempted delivery. The price you will pay for the goods is that which prevails at the time you place your order. We reserve the right to change prices without prior notice, to reflect alterations in our suppliers’ prices and/or changes in taxes and duties. If prices on the Web site are not correct due to any errors or omissions on our part, we will inform you of the correct price and you will have the right to amend or cancel your order. In the case of a mistake (within the legal definition of the law of mistake), if the goods have already been delivered, we will give you an opportunity to return the goods and receive a full refund of the price and any delivery charges you have paid for the goods. Prices shown are inclusive of value added tax (VAT) unless otherwise stated. All payments must be made in UK pounds sterling at the time of placing an order. Our Website may contain inaccuracies or typographical errors and we will not accept any liability for the accuracy of the information it contains. Information may also be changed or updated without notice. Nothing on rido-cycling.com shall be construed as a condition, warranty or representation. Great care has been taken in presenting the products on our website as accurately as possible. However, the images you see will depend on your monitor’s display and colour capabilities. We are therefore unable to guarantee that the product images you see are an exact representation of the actual merchandise. The Website and its content (including without limitation the Website design, text, graphics and all software and source codes connected with the Website and the Services) are protected by copyright, trademarks, patents and other intellectual property rights and laws. In accessing the Website you agree that you will access the contents solely for your personal, non-commercial use. You may not modify, copy, distribute, transmit, display, perform, reproduce, publish, license, create derivative works from, transfer, or sell any information, software, products or services obtained from this Website. This excludes the downloading, copying and/or printing of pages of the Website for personal, non-commercial home use only. You agree to indemnify and hold Rido harmless from and against any breach by you of these Terms and Conditions and any claim or demand brought against Rido by any third party arising out of your use of the Services and/or any Content submitted, posted or transmitted through the Services, including without limitation, all claims, actions, proceedings, losses, liabilities, damages, costs, expenses (including reasonable legal costs and expenses) howsoever suffered or incurred by Rido in consequence of your breach of these Terms and Conditions. Use of the Website is at your own risk. The Website is provided on an “AS IS” and “AS AVAILABLE” basis without any representation or endorsement made and without warranty of any kind whether express or implied, including but not limited to the implied warranties of satisfactory quality, fitness for a particular purpose, non-infringement, compatibility, security and accuracy. To the extent permitted by law, Rido will not be liable for any indirect or consequential loss or damage whatsoever (including without limitation loss of business, opportunity, data, profits) arising out of or in connection with the use of the Website. Rido makes no warranty that the Website will meet your requirements, that Content will be accurate or reliable, that the functionality of the Website will be uninterrupted or error free, that defects will be corrected or that the Website or the server that makes them available are free of viruses or anything else which may be harmful or destructive. Nothing in these Terms and Conditions shall be construed so as to exclude or limit the liability of Rido for death or personal injury as a result of the negligence of Rido.